CADRE Flow is developed using the basic principles of finite element method as applied to the hydraulics flow field. It is intended for solving incompressible fluid flow in piping systems, hydraulic systems, and fluid flow networks. There is virtually no limit to the degree of complexity (joints, lines, and line segments) that can be solved. Although limited to incompressible flow in pipes, CADRE Flow can be used to handle low speed air flow systems such as ventilation ducts where the overall pressure differential is small. The piping system is the medium that forms the finite element analogy. 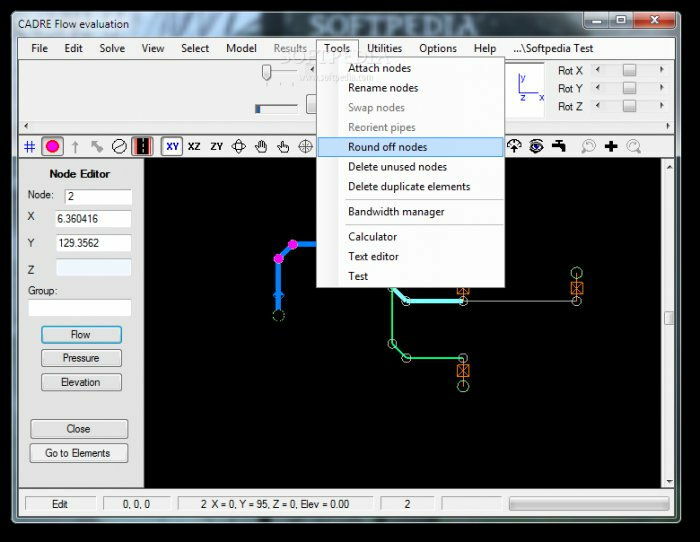 In CADRE Flow, the elements are considered as pipes and the nodes are connecting points for the pipes or intermediate points in pipes where information such as pressure is desired. 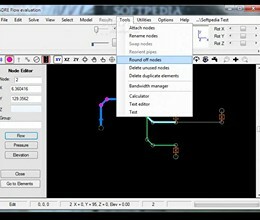 The solution is conducted on a specific defined piping system which may be part of a larger system as long as the information at the defined boundaries are sufficient to solve the model. The system may contain different properties of temperature, viscosity, and vapor pressure for the fluid in different parts of the system allowing one to investigate the effects of hotter or colder fluids after a heat exchanger. * CADRE Flow download link provides trial version of the software. No one has rated CADRE Flow yet. Be the first to rate this product.